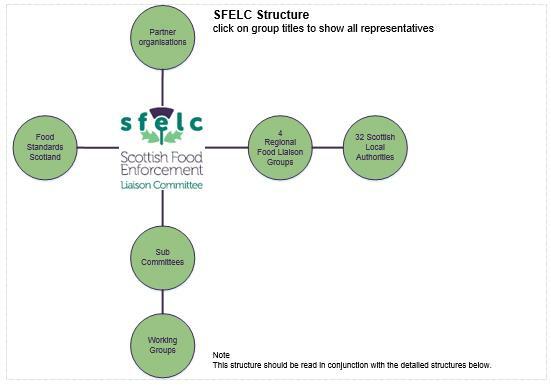 SFELC membership includes Local Authority staff, representatives of professional groups, Food Standards Scotland, consumer groups, food industry representatives and other government departments. 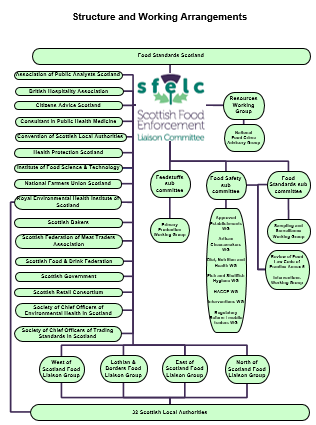 The Scottish Food Enforcement Liaison Committee supports the work of FSS by providing information and expert advice in relation to food and feed law enforcement. SFELC contributes to the development and implementation of FSS strategies and policies for fulfilling its core functions in respect of food and feed safety and consumer protection. The committee provides a forum for the discussion of relevant topics and to share best practice guidance and may initiate surveys or projects or co-ordinate specific investigations. 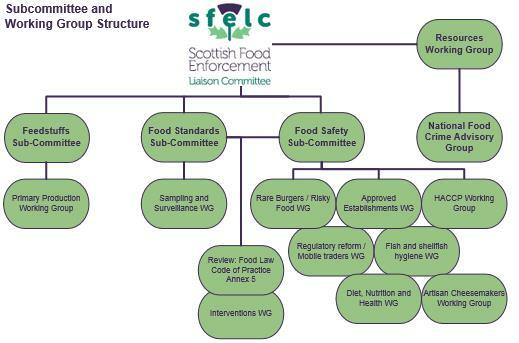 Three Sub-committees covering food safety, food standards and feeding stuffs provide a supporting structure for SFELC and help to implement strategic objectives. Four Food Liaison Groups focus upon consistency of food and feed law enforcement activities in their geographical areas. Additionally, there are several Working Groups supporting all the above.